All hardware is included in the SSBC Performance Brake Systems single piston rear disc brake conversions available in a wide of variety of rotor diameters ranging from 10.5" to 12.8" and piston sizes from 45mm to 54mm. The caliper includes a built-in parking brake and easy bolt-on installation. The kits work on most factory parking brake cables. Optional polishing or powdercoating is available. 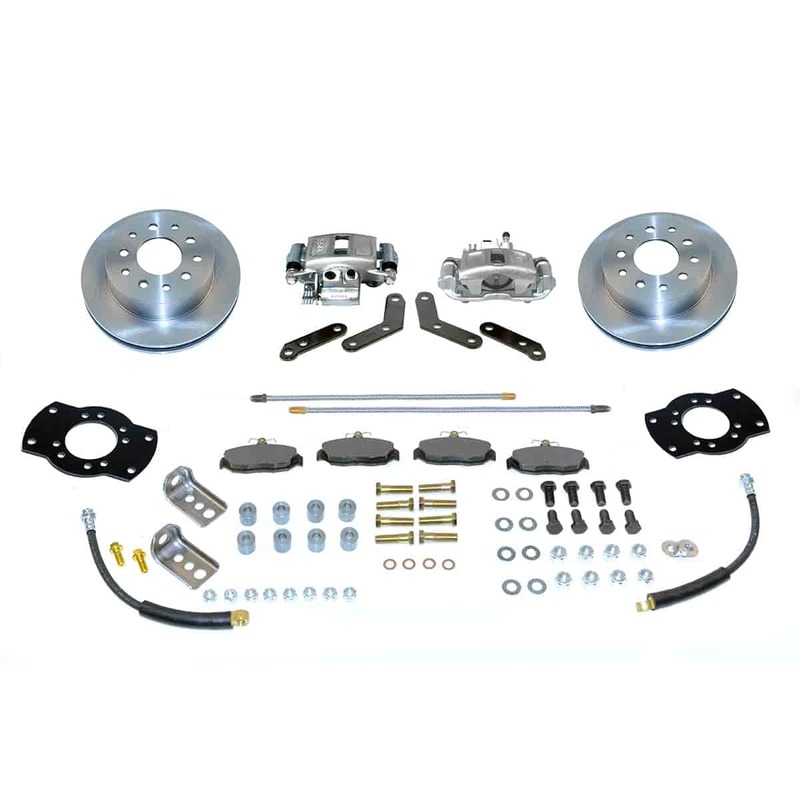 Kit Includes: Full feature calipers with built-in parking brake, rotors, flex hoses, cables, and all the necessary hardware to install disc brakes. Fits both 4- and 8-cylinder cars. Rotors available with optional Turbo slotting and Xtra Life plating. Does SSBC A158-1 fit your vehicle?